The weather is warming up, the butterflies are waking up and looking for mates. Butterflies, like all animals, need water. 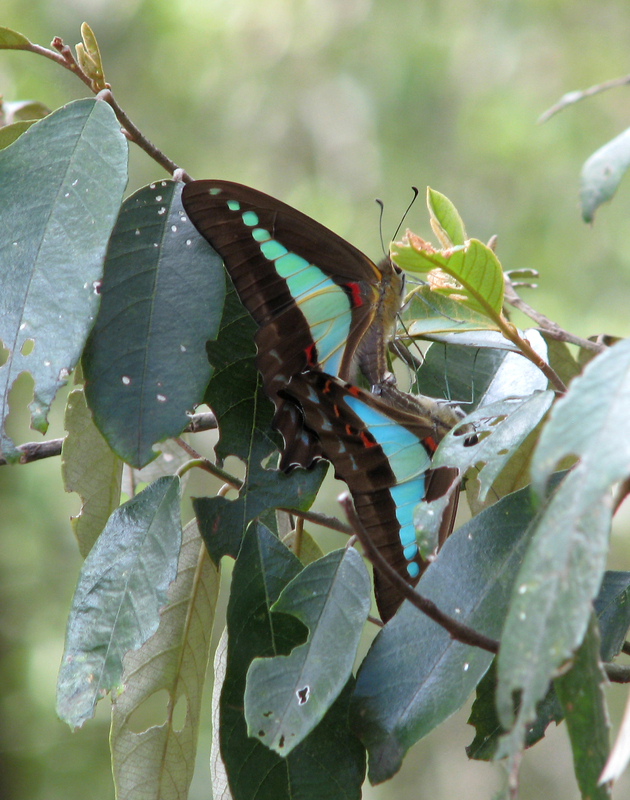 At breeding time, male Blue Triangle butterflies – Graphium sarpedon, and other swallowtail butterflies will be looking for mineral laden water. So it was good to find ways to attract butterflies to our gardens and strengthen their breeding. Melvin Dell, curator of Niagara Parks Butterfly Conservatory suggests a simple way to create a Puddling Station for your backyard. “Butterflies require water sources, which they usually obtain from dew and rain. 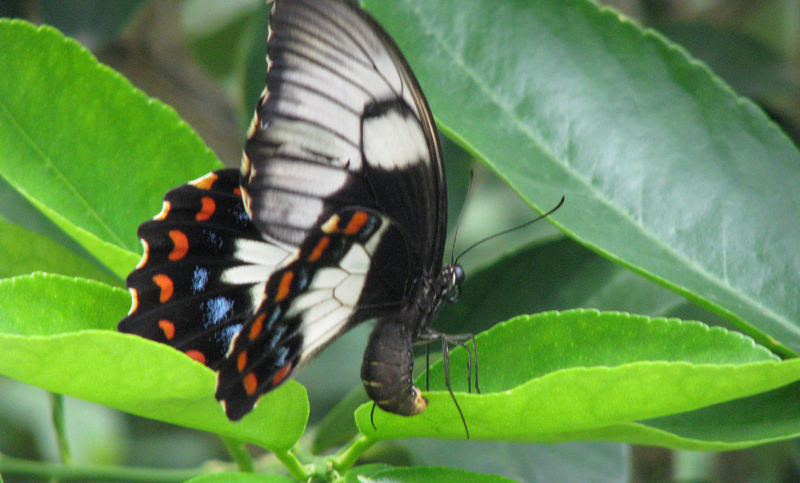 Also, male butterflies are often seen puddling. Large groups of male butterflies will gather around a mud puddle, damp sand or gravel on the ground and appear to drink water. What they are actually doing is taking in mineral-rich moisture to replenish their sodium levels, which are depleted during the mating ritual. Keeping the sand moist in Queensland heat will be a challenge. So I plan to experiment with a self-watering system using an empty drink bottle. This entry was posted in Uncategorized and tagged Blue Triangle butterflies - Graphium sarpedo, Orchard Swallowtail Papilio aegeus, Puddling Station. Bookmark the permalink.